New version of my favorite BR 10 steam engine. In comparison my first version from 2001 looks rather bulky. 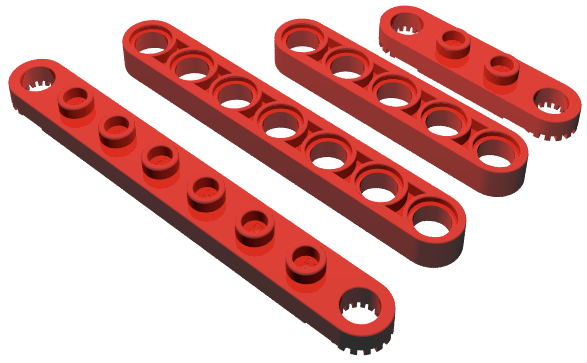 My model of the BR 10 steam engine uses four Technic, Plate 1 x 8 with Toothed Ends (4442) in red. 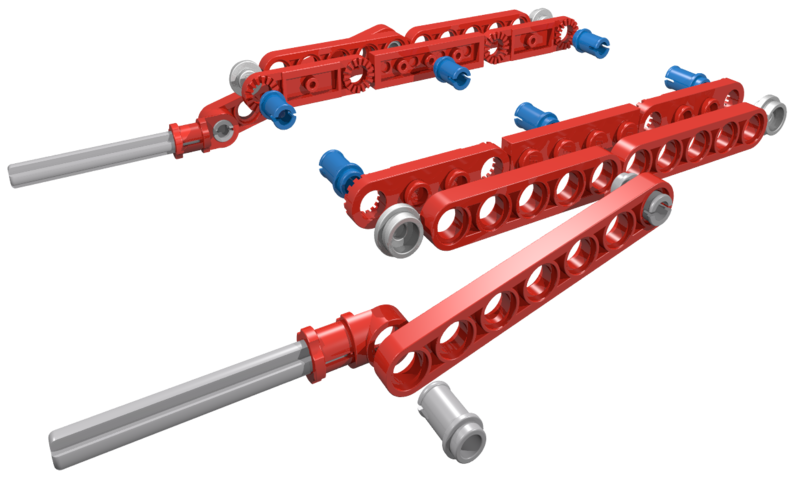 This element is currently not available and was never used in an official LEGO set. 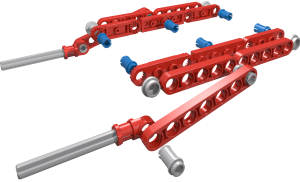 Make sure the "Technic, Axle and Pin Connector Toggle Joint Smooth" is in the correct orientation. 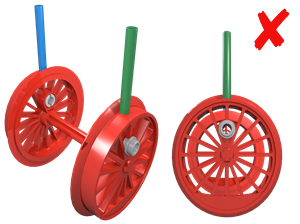 Correct orientation of drive wheels. 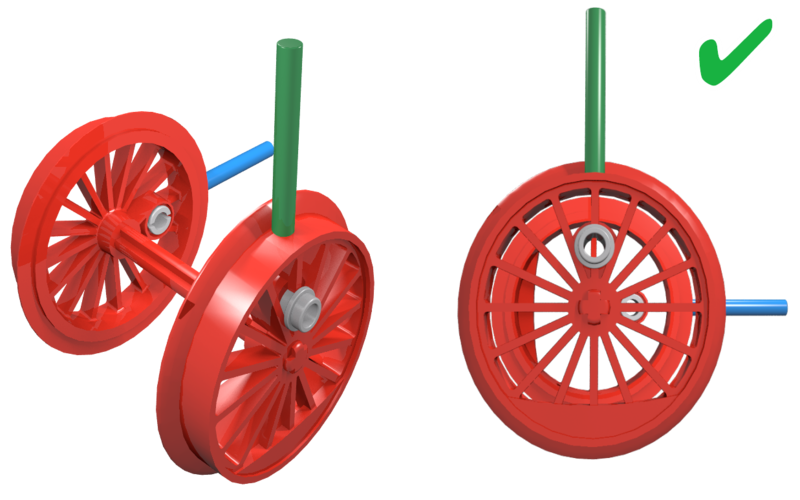 False orientation of drive wheels. Make sure that you use a 90° off-set for drive wheels. 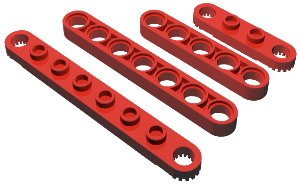 My new version has moving pistons and rods. 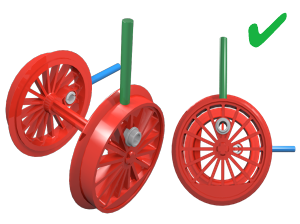 They are driven by BBB train wheels size "XL". The Power Functions receiver and battery box is hidden in the tender. 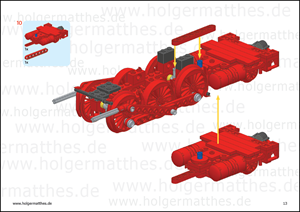 2 Power Functions train motors underneath the tender pushes the locomotive forward. 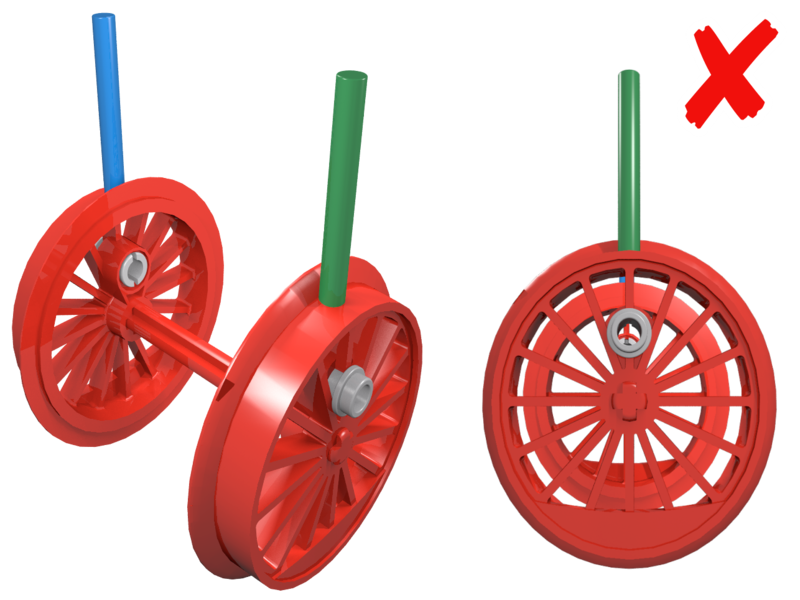 Train Wheels: BBB train wheels size "S" and "XL"